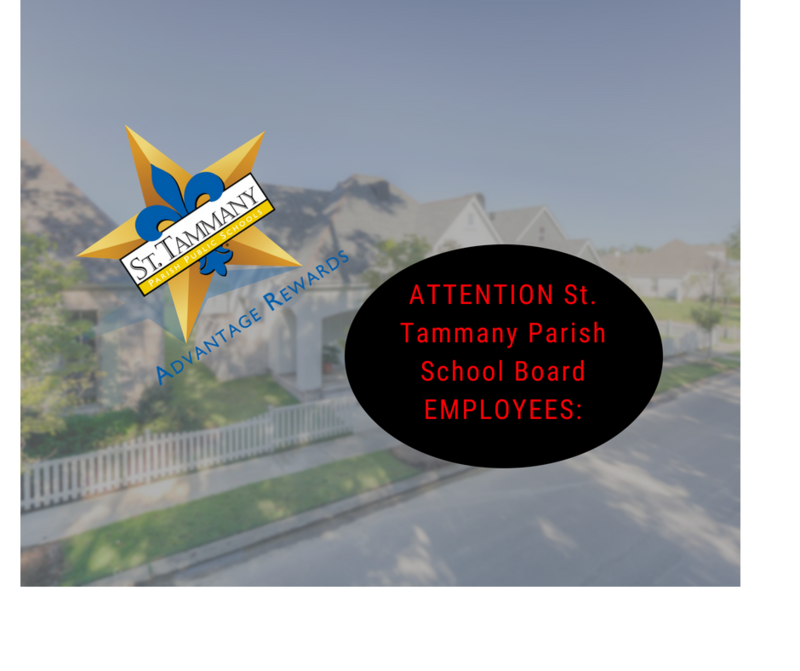 If you are an employee of St. Tammany Parish School Board and you buy or sell with ME, you are eligible for some great discounts that will save you tons of money when buying or selling your home!! Some of the offers may include a free home warranty, a home inspection credit, landscaping package, free pressure washing, a professional cleaning of your home AND a commission discount when you list your home with me! Know someone who works for the school board?? Spread the word on this valuable offer!